While waiting for Mattias to update the world about our bathroom-saga, I took my time to photograph our almost completed masterpiece. Everything takes ages to get done (among a pile of items on incredibly long todo list, there is the head of a 21 months little young girl that keeps her daddy quite occupied) so, I decided to not wait for the final touch but take it as it is. Simple as it is, we chose to go to IKEA and buy our wardrobe, after exploring several options. 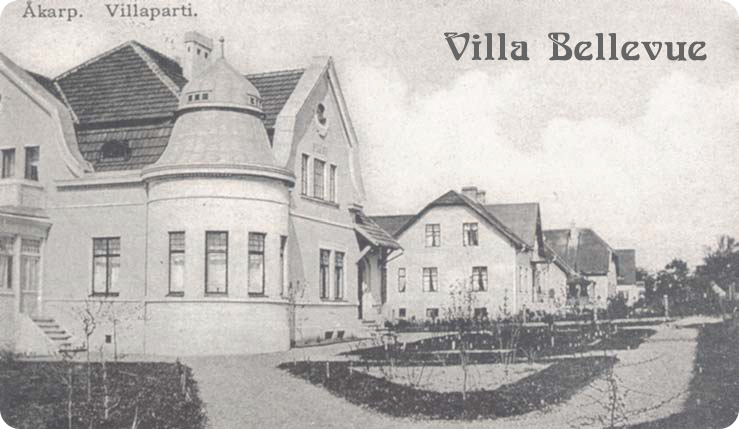 What would fit a jugend villa, our modern needs and the available wall? If we wanted to be genuinely jugend-freak we should have been going for a classical wardrobe. For how beautiful this is, this would have been very impractical. But the PAX system is actually great. It can be design to match one's own wishes and it comes in many variants. 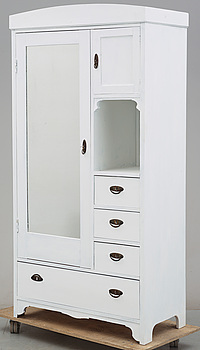 Luckily for us, there was a set of doors (PAX Birkeland) that was "old-style" looking and we went for that. We bought two of them, one for the lord and one for the lady of the house and we customized the interior to have a couple of shelves, some wood drawer, a clothes rail and a tie rack (which we mainly use for belts). We went out of the IKEA box when it came to the knobs/handles. I didn't like any option available at IKEA and I ended up wanting to match that enormous white surface with the turquoise background wall. After some browsing, I found exactly what I wanted on a Tradera (Ebay.se)'s shop. Unfortunately, my pictures are never as appealing as all the blogs I always visit. Can somebody give me a tip on how to make this fancier although I just have a compact digital camera?